What a terrific way to add some personality to any of our favors! 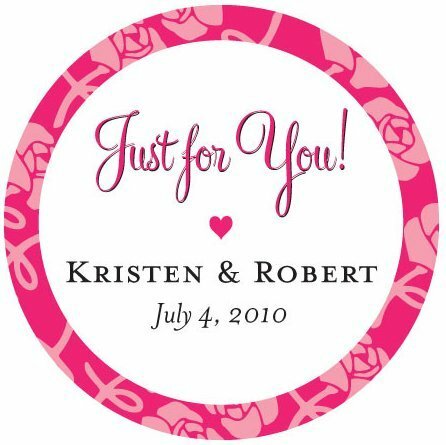 A brightly colored floral print border surrounds the 'Just For You' caption as well as 2 lines of custom text on these round personalized wedding stickers. For weddings, we recommend that you add your names and wedding date. Great for birthday parties and other events as well. The minimum order is 36 stickers.